We recently reviewed the new 2017 Roubaix by Specialized, which features a unique and new frame geometry that encourages cyclo-crossing as well as road biking, and at the conclusion we stated that the Roubaix was not alone in Specialized’s lineup. The 2017 Ruby is the twin sister of the men’s Roubaix bike, and features all of the same new technology, innovative features, and is specifically designed to drive women forward with the smoothest ride possible and the perfect female-form geometry. It is the Roubaix’s true equal, with nothing “less than” compared to the men’s Roubaix model. This is an exciting road bike, so let’s get started! One of the ultimate goals of Specialized was to create a new line for the 2017 year that would offer the smoothest ride possible to riders taking to the pavement, gravel, dirt road, steep inclines, the mountain, and nearly any other terrain. 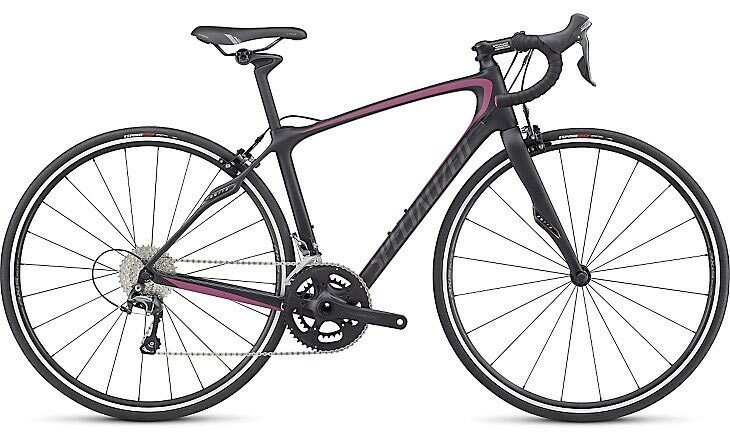 Specialized accomplished this goal in their all-new Roubaix for men and Ruby for women. The driving force behind every design decision was based on their goal to be innovative in their frame design in order to fit new shocks, larger tire options, and play with the width of the headtube while offering optimal angles of the bottom bracket and other parts of the frame. Speaking of the frame, this full carbon frame is the lightest that Specialized has produced, but when you take into account the weight of the new Future Shocks (which weigh 295g), the tires that will be chosen by each rider, and other small aspects, it will not be a heavy bike by any means, but you will be learning to ride the bike differently than every before with these new innovations. 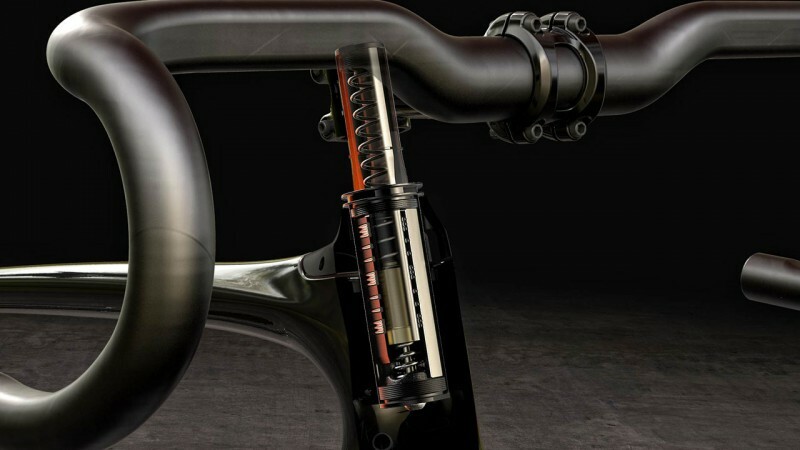 This is due to features like the lower bottom bracket (BB), which was lowered in order to lower the center of gravity and increase pinpoint handling performance. The bar has a shallow 125mm drop which makes hammering in the drops much easier and natural than before. The Ruby certainly sticks with an endurance design with a taller stack and shorter reach. In order to accommodate the Future Shock cartridge, the head tube is a bit shorter than on previous models. For example, the lower half of the Future Shock cartridge fits inside the head tube. The upper half is covered by a stem cap and bellows-style sleeve that allows for travel. The S-Works Hover carbon handlebar features a 15mm rise on either side of the stem, which is what allows for the movement of the Future Shock in a new and innovative way. While the Roubaix models no longer use the Zertz inserts, the Ruby still does, but in conjunction with the new Future Shock front suspension shocks. This cylindrical cartridge is built in to the steerer tube, which houses a spring with 17mm of downward travel and 3mm of upward travel. The idea behind this is to increase compliance above the head tube, which will effectively isolate the rider’s body from road vibrations and keep the front tire in contact with the road surface. As a result, it improves traction, conserves energy, and absorbs impacts, creating an incredibly energetic and smooth ride. These shocks also take less muscle power to keep your bike on-line and there is less overall resistance. Between the shocks and the disc brakes, discussed below, these forgiving features make for a powerful road bike. 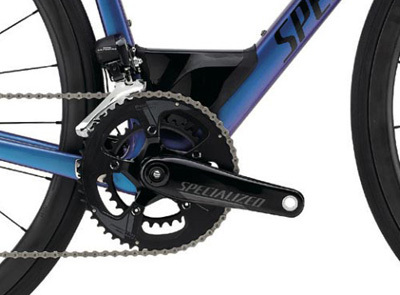 You have three levels of spring adjustability that you are give when you purchase your bike. You have a mid-range spring that is already installed in the bike, and you have a soft and firm option that both come in a box. You can swap these out based on your own personal preferences for a less or more responsive ride. The rear suspension, much like the Roubaix, comes in the form of an oval shaping at the top of the seat tube. 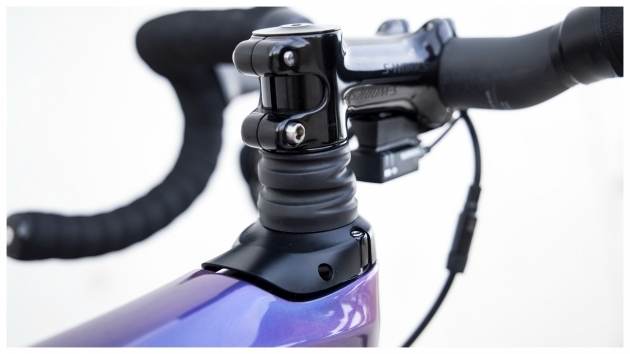 Wider than in previous models, this opening allows the round seatpost to flex for increased compliance. 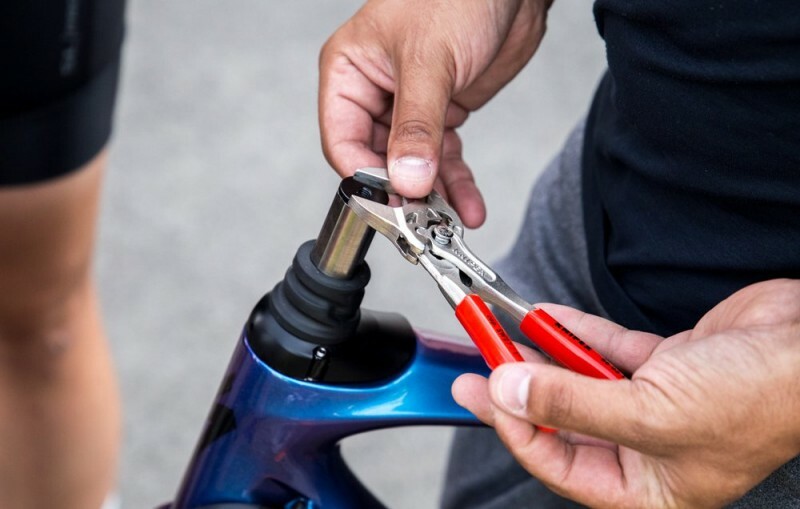 Specialized did retain the S-Works CG-R seatpost with the Zertz inserts and 25mm offset, which is similar to previous Ruby models, but they clamp it 65mm lower in order to accommodate the wide upper seat tube. It is worth noting that the men’s Roubaix model does away with these components and uses two flex points at the rear without the user of Zertz inserts. However, for the purpose of this Ruby, this is still a great upgrade when paired with the front Future Shock and new geometric frame design. While the less expensive SL4 models of both the Roubaix and the Ruby will feature rim brakes, the rest of the 2017 line is all disc brakes. 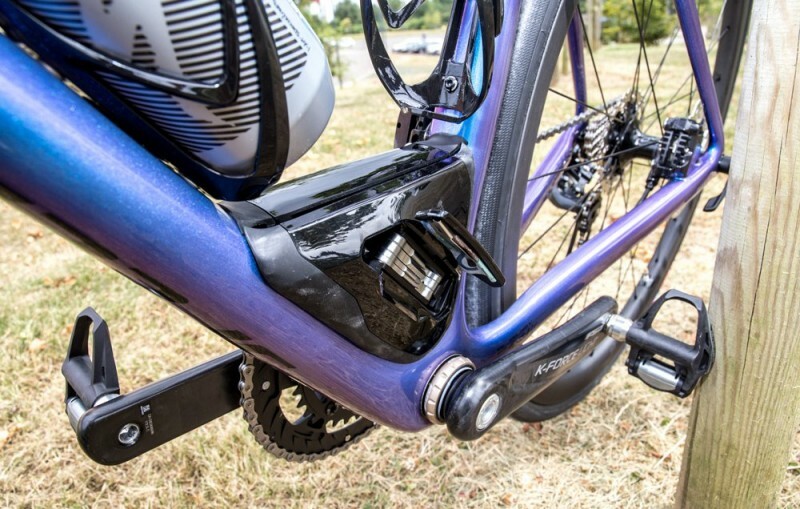 These hydraulic disc brakes are great for conserving an impressive amount of energy and makes the rider feel more confident in their ability to bomb descents, as opposed to what a rim brake bike would allow. 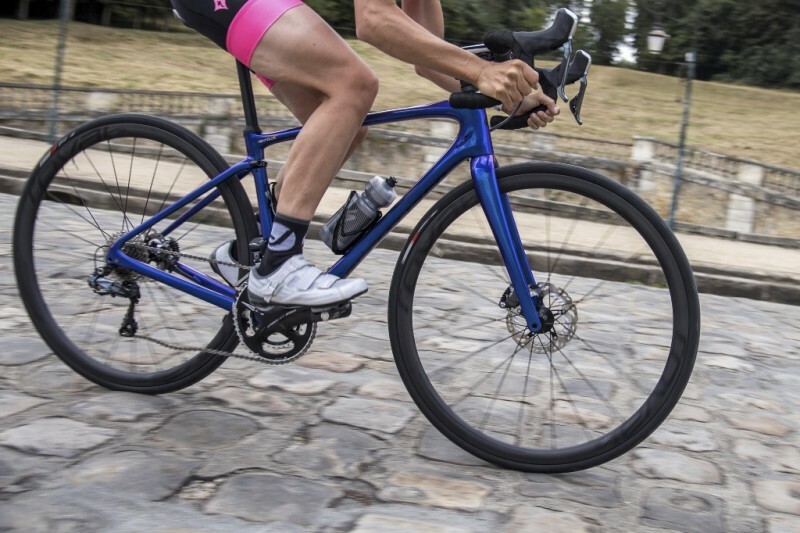 Along with the men’s 2015 Tarmac and the 2017 Roubaix, the Ruby is now the first women’s bike by Specialized to be built using “Rider-First Engineering,” which takes into account each rider’s own size, weight, height, reach, and other human inputs. 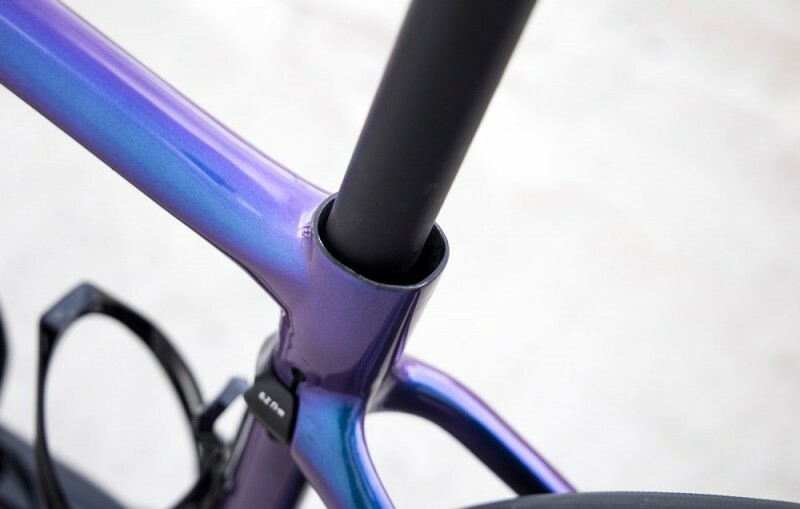 As opposed to shrinking or enlarging a bike frame to fit a 58cm or 44cm frame size (which will end up riding differently than intended), the Rider-First Engineering ensures that each frame size is independently engineered down to the number of carbon sheets used and the laying pattern. This is intended to make sure that a rider on a 44 will have the same riding experience as someone riding a 58. Flexibility and stiffness and other riding aspects will not be compromised anymore by the size of the frame. Integrated into the triangle of the bottom bracket is an aerodynamic SWAT box that can be removed if you so desire. 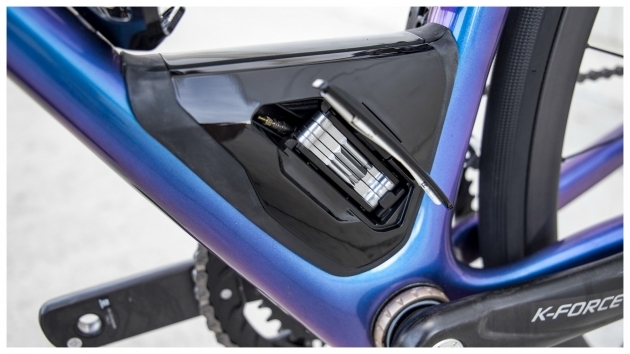 However, this is a great feature for those riding off road, so you are not without your tools. Based on the new geometry of the frame, the Ruby allows for tire clearance up to 32mm. 26mm wide tires are relatively wide for road bikers, so for cyclocross riders who are interested in this setup will be very happy to see that not only does this bike absorb impact like no other, but taking to a multitude of terrains is as easy as swapping out your tires to a set as wide as 32mm. The Ruby comes in six different sizes: 44, 48, 51, 54, 56, and 58. The Ruby comes in a range of different models; six to be exact, which are listed below with their prices, ranging from $1,700 to $10,000. 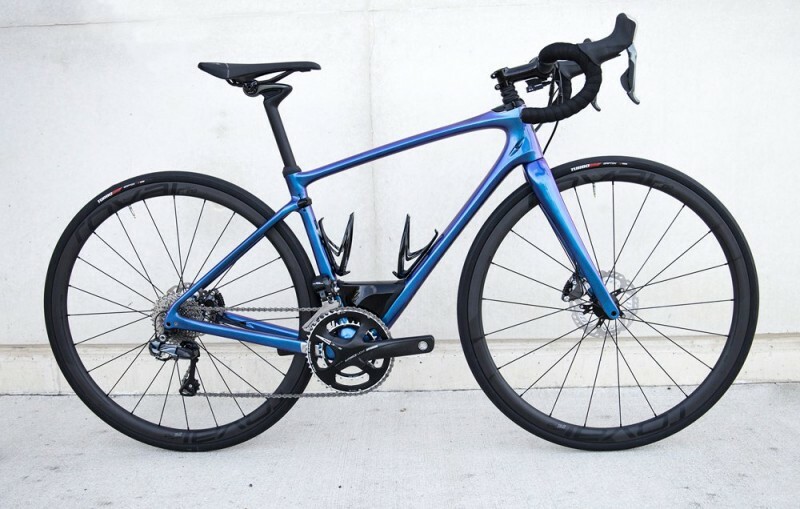 You can purchase any of these incredible models from the lowest SL4 with rim brakes to the S-Works Ruby eTap with disc brakes, and any model in between. Hello! My name is Alex. I take a great interest in bicycles and everything connected with them. I am fond of bicycles since 9 years old. The first bike was given to me by my parents. Later I chose and bought a bicycle myself. A few years ago I got the idea to create a site about bicycles. Here I publish various utilities and tips for cyclists. I also want to try to organize a bike tour or go on an exciting hike. If you are interested in my project or you want to contact me, look for me on social networks. I am glad that you came to my site, I hope you will like it here.